Born in the Caribbean and raised in Miami, FL, Weekender has been making casual + travel lifestyle sportswear since 1938. Our Caribbean and Florida heritage combined with our family bonds and time-tested history provide us with the inspiration to design one-of-a-kind styles with artisan craftsmanship. We’re a proud 3rd generation family business. Frank is our Head Honcho. Frank's father Raul, a Polish National fled Nazi Germany in 1938 and landed penniless on the Caribbean island of Cuba. 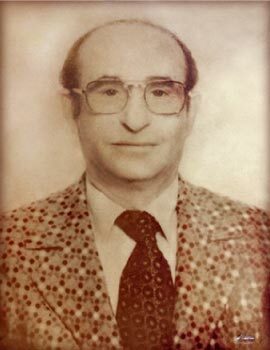 Without knowledge of the local customs or Spanish language, but a master tailor by trade, Raul helped pioneer the apparel manufacturing industry in Cuba. In 1961, Raul’s life was again turned upside down when the communist government of Fidel Castro rose to power and expropriated all of Raul assets including his apparel manufacturing business. He fled the country to the U.S. along with 31 family members and the shirt on his back. In 1963, without knowledge of the local customs or English language, Raul along with his son Frank launched the Weekender brand. At Weekender, we are born explorers, empty vessels, curious and fascinated by the world around us. We love to learn, meet new people, engage our curiosities, put things in perspective, challenge ourselves and enjoy new experiences. Weekender takes it inspiration from our universal values of freedom and our yearning to explore the world and its richness. Different cultures offer different values but we must learn from each other to improve our world and live peacefully together. Life’s exploration paths lead us to chartered and sometimes uncharted territory but together, we can map out a clear direction. This desire to know one’s surroundings drives Weekender to design sophisticated, yet functional time tested garments that possess outstanding characteristics as to performance and wear ability and represent something beyond time and history. Weekender has always been passionate about quality and styling. In fact our entire reputation rests on the experienced skills and passion of our people, handed down through generations. We strive to maintain a standard of excellence, commitment and distinction synonymous with our brand. As a proud 3rd generation family-owned business, Weekender has become one of the nation’s leading casual + travel lifestyle sportswear brands.